Valeria Taylor, owner of Chicago-based bakery Loba Pastry and Coffee, wasn’t sure she was ready to open her own bakery until she heard a podcast about the reintroduction of wolves into Yellowstone National Park. The episode was about one female wolf in the park: the ‘06 Female. This particular wolf was huge, bigger than any of the others, male or female. She had a gray coat that was stark and stunning. She shot down five potential mates who didn’t live up to her impossibly high standards. She didn’t need them anyway; she hunted on her own. “She upset the balance of what it was like to be a wolf,” Taylor says, recounting the story. “She was fearless and unstoppable and nobody could compare. There was no alpha male. She was the alpha all around. 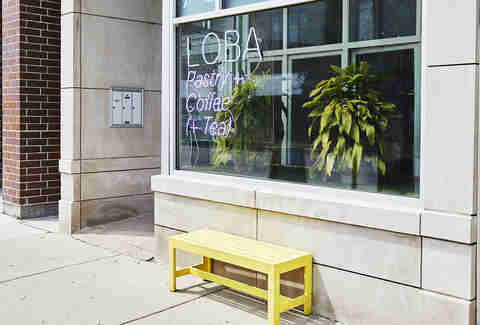 In the beginning of 2016, Taylor opened the doors of Loba Pastry and Coffee to the public. (She chose the name Loba, which means she-wolf in Spanish, as a tribute to the gray-coated alpha of Yellowstone.) Loba serves six different pastries daily -- all inspired by the years she spent in fine dining, with flavors that draw on her Mexican heritage. 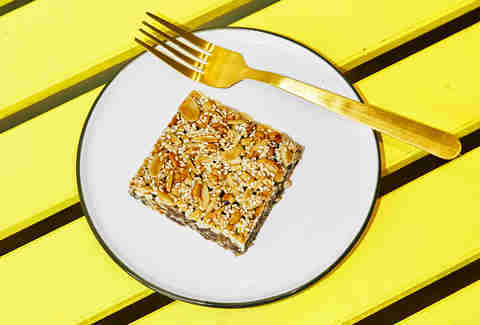 The pastries are paired with some of the best coffee and tea in the Windy City, including those from In Pursuit of Tea -- the same company that created the tea program at chef Daniel Humm’s fine-dining restaurant Eleven Madison Park. Taylor never planned to be a pastry chef. In 2010, she was debating between enrolling at the University of Chicago and joining the workforce. So, after reading about the opportunity in a want ad, she tried out for an unpaid pastry chef internship at Chicago’s Blackbird -- a Michelin-starred and highly praised restaurant backed by James Beard Award-winning Chef Paul Kahan. At the time, she had no idea how impressive the restaurant, or the opportunity, was. Today, she says it was “luck” that she landed the job despite having no formal experience. It was more likely her work ethic. After two days of working at Blackbird, Taylor decided not to return to school. From there, she took a role as the pastry chef at Coco Pazzo, then moved to the now-shuttered Charlie Trotter’s. She went from kitchen to kitchen, constantly working on her craft. “I think I stuck around restaurants a little too long,” she says. The crazy hours, the low pay, the practically non-existent work-life balance, all of it pushed her out of the kitchen and into an office park. She started working at a cushy gig as a project manager for a software startup in 2014. But Taylor quickly realized she was far out of her element. Despite the great pay, vacation days, shorter hours, benefits, and weekends to herself, she was miserable. So to cheer herself up one Friday morning, she wandered into Bad Wolf -- Jonathon Ory’s bakery that stood in Loba’s place at the time. She made small talk with him about the pastries, tried all of them, and then charmed him into letting her help out in the kitchen on the weekends for free. She kept her office job for a bit, working seven days a week between the two jobs. Then she took on the role of barista, too. At that point, she quit the office gig to work at Bad Wolf full time. In 2015, Ory put Bad Wolf up for sale preceding a move to South Carolina. Taylor realized then that she could possibly take over and finally start her own business -- a goal she had had since beginning her career. To move forward, Taylor needed a business partner to make it work, so she teamed up with Coyote DeGroot, who owns Labrabbit Optics, a vintage eyeglass frame boutique in the Wicker Park neighborhood. DeGroot would oversee the business side while Taylor ran day-to-day operations and the kitchen. With their own resources and a small business loan from the Sam Adams Brewing the American Dream program, they opted to make an offer on Ory’s equipment and take over Ory’s space, but with a new name. “I guess I made him an offer he couldn’t refuse, and that was it,” she says. At Loba, Taylor's days start before most of us wake up. By 5am, she’s out of bed and on her way to the kitchen. Come 6, she’s baking the day’s pastries with the doughs and ingredients she prepped the night before. While those finish in the oven, she’s preparing drinks for the 7am crowd that comes when she first opens. In between, she’s cleaning the kitchen, mopping the floors, and getting ready to do it again the next day. On weekend afternoons, she handles accounting, ordering, and scheduling. 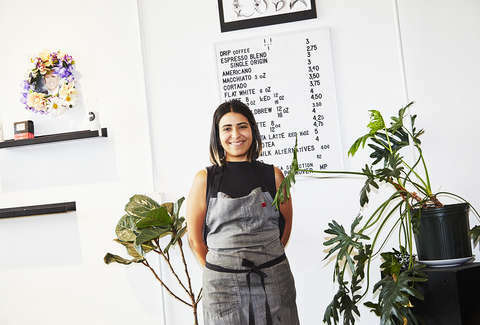 Until recently, Taylor ran Loba as a lone wolf, the Lakeview neighborhood’s own ‘06 Female, acting as owner, barista, and pastry chef simultaneously. Now she has three employees -- but that drive to handle things herself never goes away. Taylor’s mother kept a similar tradition in their home in Guadalajara, Mexico. She would never buy premade items, even basics like bread or yogurt. Taylor often pitched in, and by the time she was 6 years old, she was making tortillas in her mom’s kitchen. In Loba’s kitchen today, Taylor’s experimentation has distinguished the bakery as one of the most beloved in the city, earning it “Best New Bakery” by Chicago Magazine In 2016. Customers rave about Taylor’s pineapple sourdough muffins, a recipe Taylor says is “secretly” vegan because despite missing the eggs, milk, and dairy found in typical muffins, they still have the same texture. There are also mole croissants with a chocolate cardamom crumble, which never stick around the shop for long. The pastry offerings at Loba change daily to mirror Taylor’s mood and inspiration. Besides preparing the dough, she says she normally doesn’t have a game plan for what to prepare for the day until that very morning. If she plans ahead, she says, she usually changes her mind by the time she gets to the kitchen. Taylor chose Chicago as her home because in some ways, it reminded her of Guadalajara -- albeit a little colder. Here, she says, it’s a city, but unlike New York, the smaller size leaves more room to foster community. And it was here that Taylor decided she would one day open a business. Nine months after opening Loba, Taylor had saved up enough to buy out DeGroot and run the business alone. Even though she isn’t juggling two jobs anymore, Taylor still works every day. Her motto for running Loba is simple: pay the bills, don’t set anything on fire, and be nice about it.